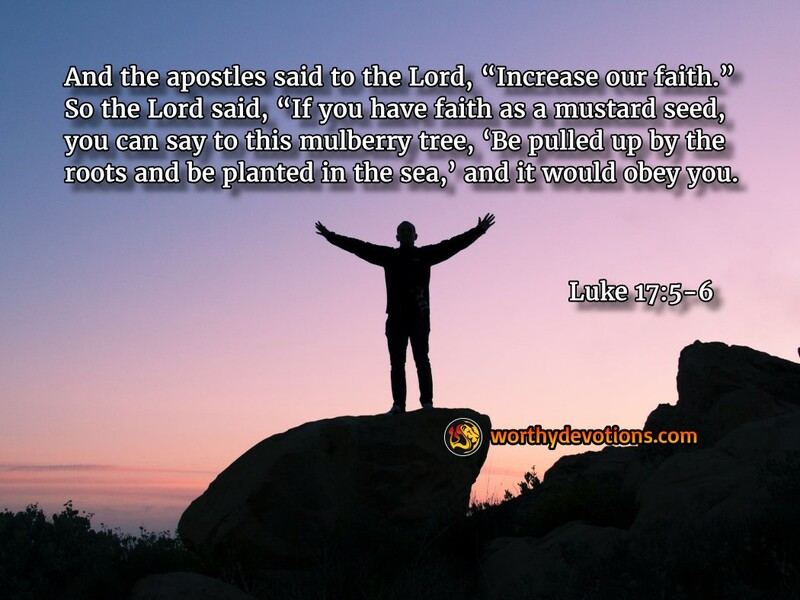 Luke 17:5-6 And the apostles said to the Lord, “Increase our faith.” So the Lord said, “If you have faith as a mustard seed, you can say to this mulberry tree, ‘Be pulled up by the roots and be planted in the sea,’ and it would obey you. The African Impala (an African antelope) are amazing creatures that can jump to a height of over 10 feet and cover a distance greater than 30 feet. Yet Impalas can be kept in a zoo inside an enclosure with a simple 3-foot wall. Why? Impalas will not jump if they can't see where their feet will land. Do we have something in common with these antelopes? Able to take great leaps of faith, but refusing to do it unless we can see where we'll land? Which Report Will We Give? Walk in the Power of the Resurrection! Ths really bless my soul.